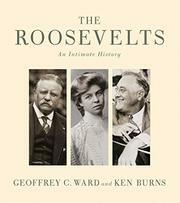 The very definition of “lavishly illustrated”—an oversized volume containing nearly 800 photographs documenting the lives of Theodore and Franklin Roosevelt and (to a much lesser extent) their wives and families. Prolific historian Ward (A Disposition to Be Rich: Ferdinand Ward, the Greatest Swindler of the Gilded Age, 2013, etc.) opens with the promising assertion that “the similarities and not the differences” between Teddy and FDR are the more interesting avenue of study. Those similarities are qualified but very real. Both bucked the reins of their parties, though the one remained a Republican for most of his political career (said Teddy, “The man is not everything; the party is most of all”), and the other redefined Democratic Party politics; both were children of privilege whose sense of noblesse oblige included a fundamental sense of fairness that seems not to characterize the 1 percent of today. Ward chronicles the modest ironies that propelled both to the heights of political power—Franklin, for instance, was first picked to balance a ticket as “an easterner with an independent reputation [who] had a good record in wartime Washington and…bore a last name the party hoped would appeal to independent voters.” Both Teddy and Franklin, as Ward ably demonstrates in a lucid text, surpassed all that was expected of them and transcended class to embrace an American-ness for which many readers will be nostalgic. Ward’s text is top-flight, as always, but it would be much less so without the superbly curated photographs that accompany it, documenting such things as bracing hunts in the Rockies, anti-lynching demonstrations in Washington and boats full of teenage soldiers powering toward the beaches of Normandy. Excellent, as we have come to expect from the team of Ward and Burns—an eye-opening look at a political dynasty worthy of the name and at a state of politics far better than our own.